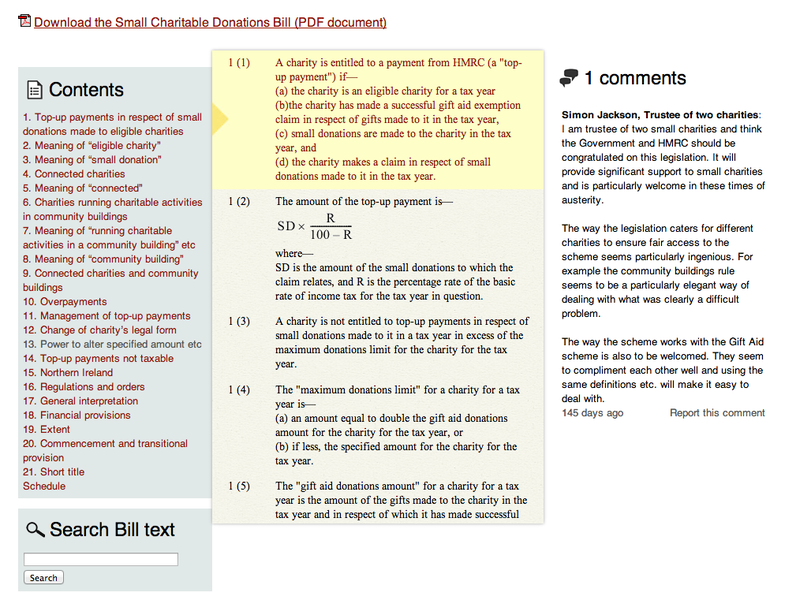 We were asked by the Government Digital Service to rapidly prototype a new approach to commenting on a pilot for the PRS, designed to seek comments on the Small Charitable Donations Bill. Starting from a set of user stories on index cards, we refined the brief, developed a simple interface and created the full application within four weeks. 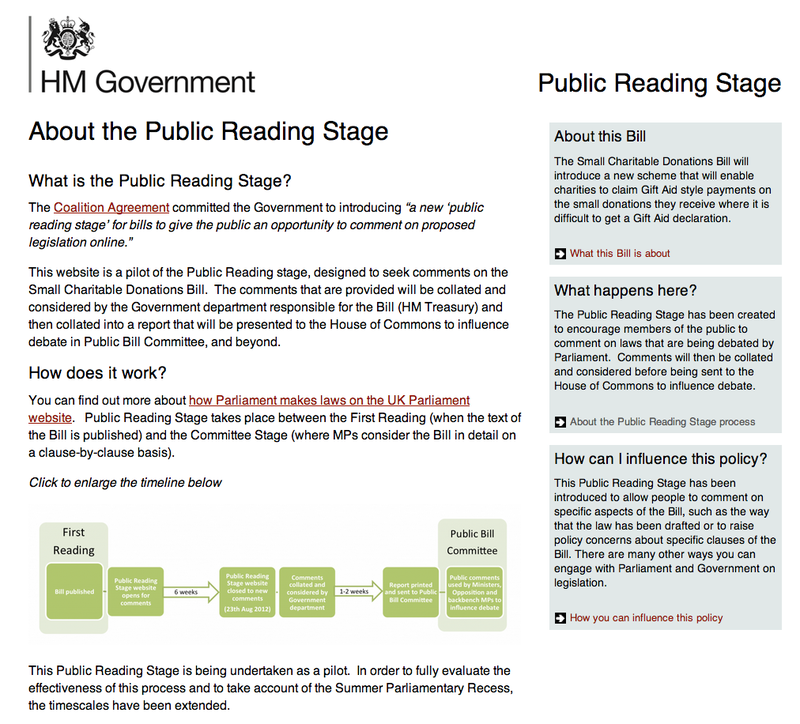 The comments provided were collated and considered by the Government department responsible for the Bill (HM Treasury) and then collated into a report presented to the House of Commons to influence debate in Public Bill Committee, and beyond. 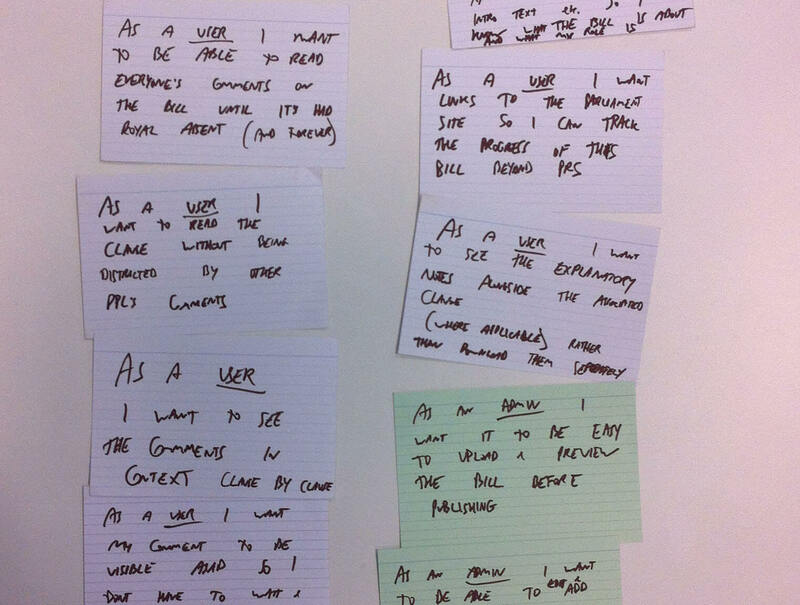 Compared to previous projects I have worked on, the lasting impression of the project is just how flexible both GDS and you have been – it was incredibly reassuring that GDS could go to a trusted supplier, rather than start a prolonged tender process, and we were able to meet within a few days to start work.